It’s not an addiction. It’s a habit! Smoking is a habit and if you want to quit smoking then you have to break the habit. The other day I was listening to a lecture and the person said that there was no such a thing as an addiction, just habits. She said that anything repeated on a regular basis is a habit. When you think about it smoking cigarettes is a habit. Every time you smoke a cigarette you reinforce the habit. If you take the time out to look at when you smoke you will find that there are certain things that trigger the urge to smoke. The more common triggers are smoking when drinking alcohol, smoking when drinking tea or coffee, smoking after meals, smoking when driving, smoking when stressed, smoking when bored. Some of the more bizarre triggers that I have come across are smoking when having a bath and smoking when eating chocolate. The good news is that because your smoking is a habit you can stop it by breaking the habit. There are many ways to do this and thy vary in success. The key to success is that you have to want to break the habit of smoking. I use hypnosis to break the habit of smoking. one of the problems that i have is that people come to me to quit smoking and they think that you can use hypnosis to make them quit. They have seen stage shows and think that it is all about making people do things. you can make someone cluck like a chicken so why can’t you make me quit smoking? 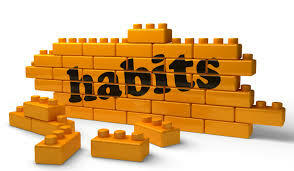 If you do not want to break the habit, then you will not succeed. Too often and especially with hypnosis people think that you are going to make them break the habit. Wrong! If you do not want to then you will not break the habit. If you want to quit smoking, if you want to quit doing any habit then you have to want to do it. So if you want to quit smoking cigarettes or any other habit make sure that you really want to. If you are sure then the chances that you will succeed will increase enormously. Next And the winner is..